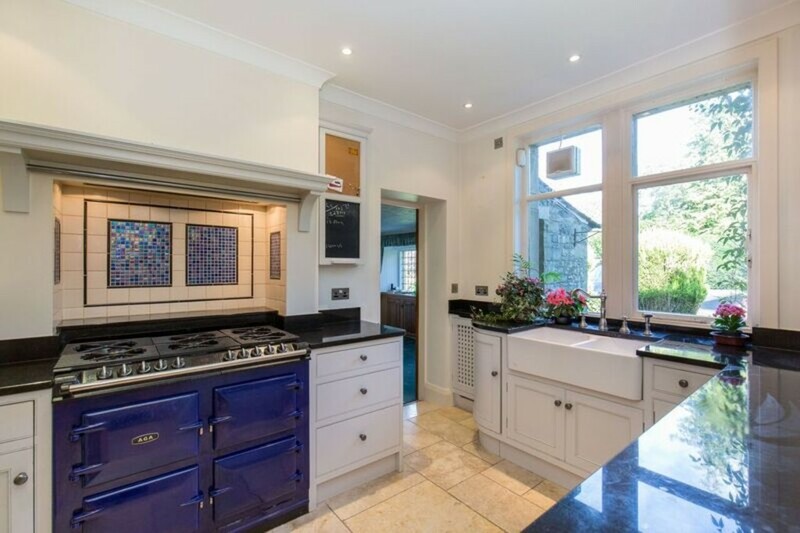 A prestigious and picturesque STONE BUILT FIVE BEDROOM HOME/BED AND BREAKFAST with glorious LANDSCAPED GARDENS IN AN ENVIABLE SETTING IN THE YORKSHIRE DALES NATIONAL PARK. 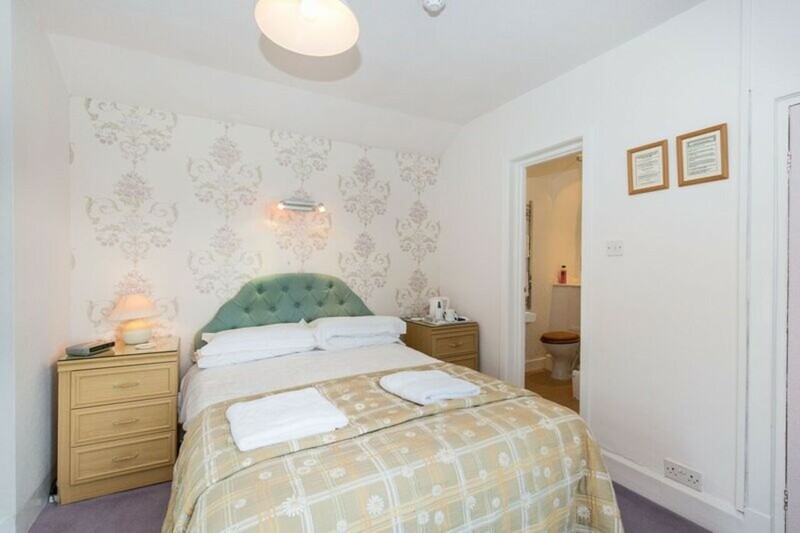 IDEALLY LOCATED WITHIN WALKING DISTANCE TO THE DALES VILLAGE OF GRASSINGTON. 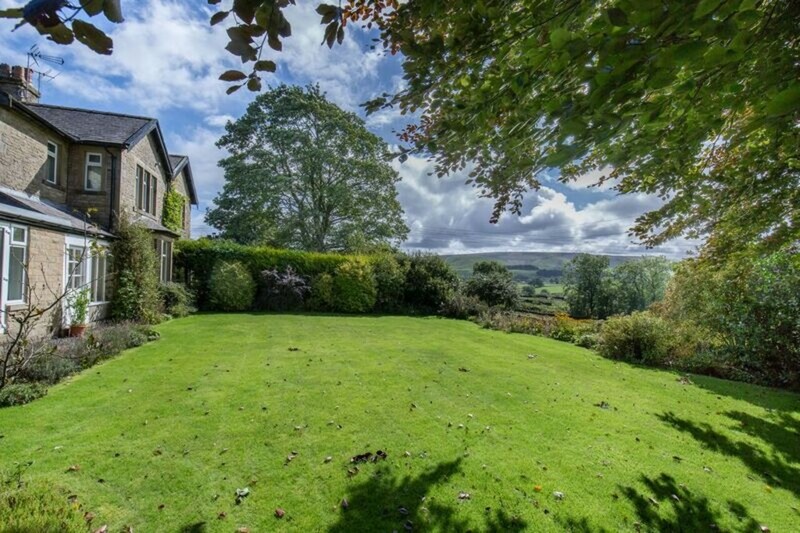 Raines Close is a prestigious and picturesque stone built B&B standing in glorious landscaped gardens with breath taking views set close to the heart of Grassington Village. 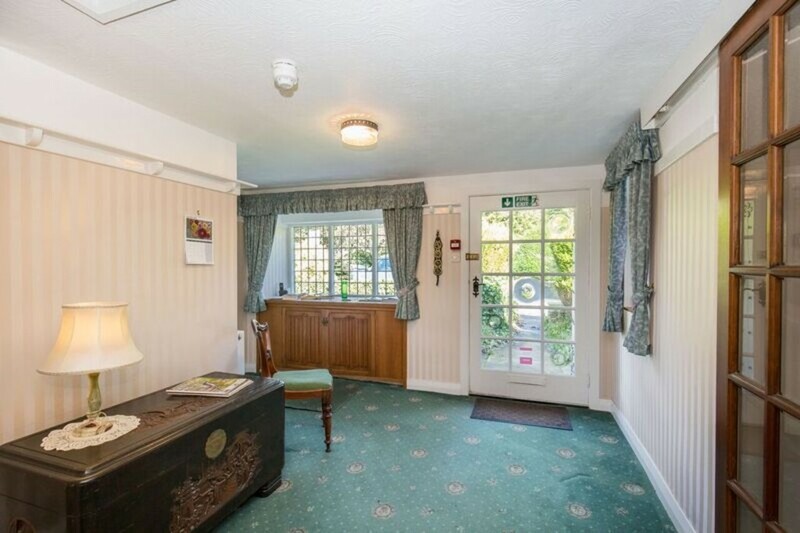 This stunning spacious B&B has been successfully run by the present owner and offers an excellent opportunity for those seeking a wonderful life style change but would also provide a superb family home. 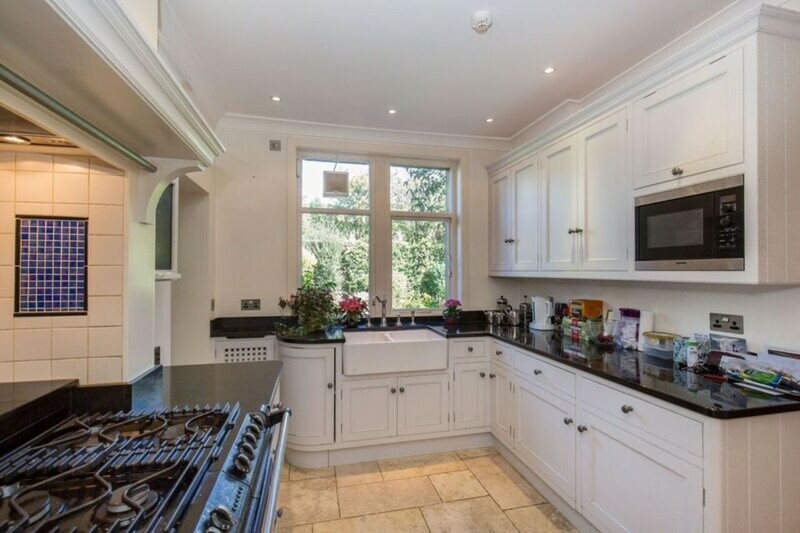 The ground floor provides entrance vestibule, spacious entrance lobby, bespoke kitchen, sitting room, dining room, utility room, cloakroom, double bedroom with en-suite shower room having access onto the garden, spacious inner hall leading to a small garden room. 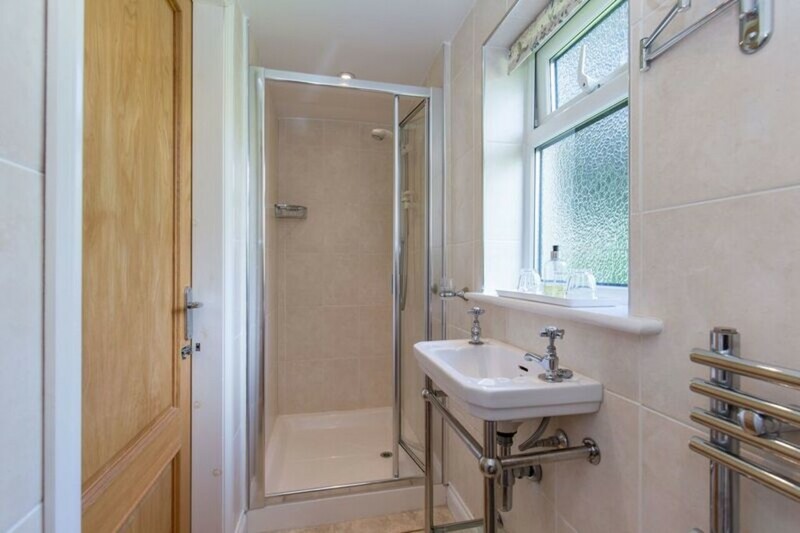 First floor: half landing with bedroom and en-suite shower room, spacious landing with three further double bedrooms and a modern family bathroom. 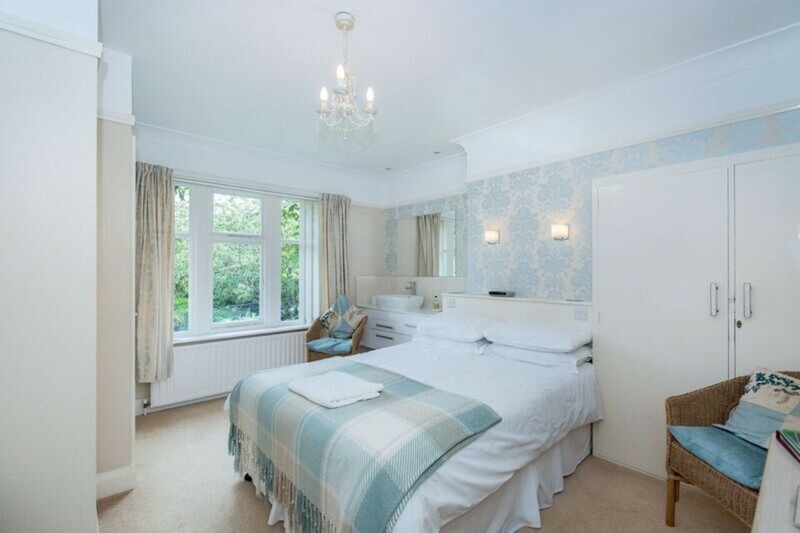 Two of the bedrooms contain en-suite facilities. 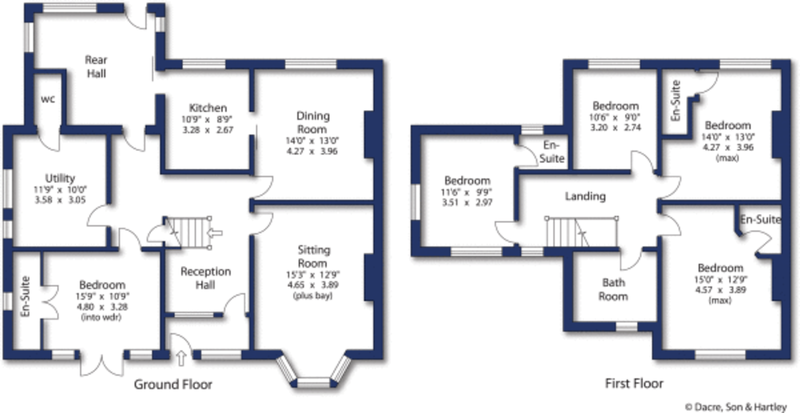 Fully furnished and equipped for up to 8 people. Outside: set in a generous plot with ample on site parking, there is a detached double garage and extensive mature gardens to three sides. 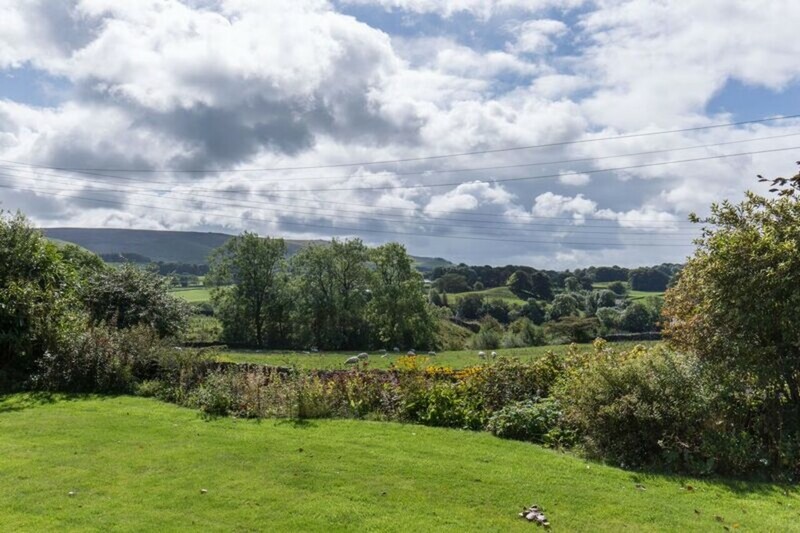 The rear garden overlooks open fields and provides stunning countryside views. There is also a detached workshop and store. 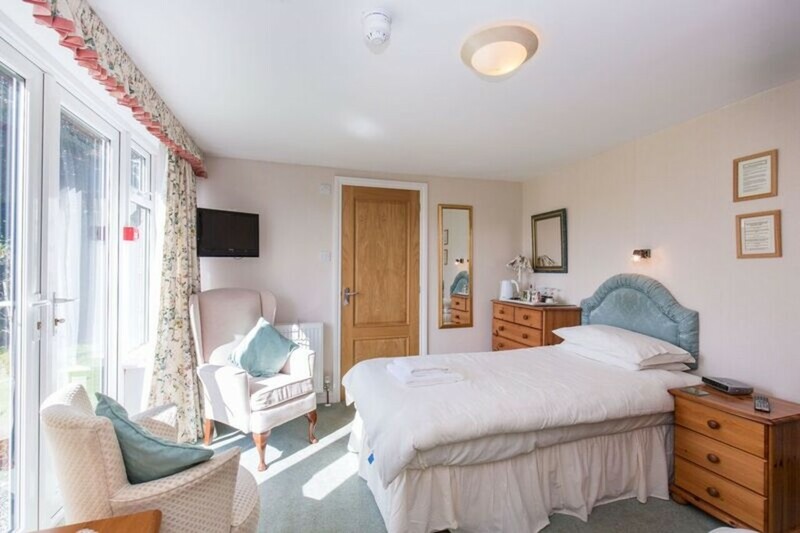 The picturesque village with its cobbled square and bustling centre provides a wide choice of amenities with delightful coffee shops, public houses, shops and superb restaurants whilst also providing doctors, dentist and excellent schooling. 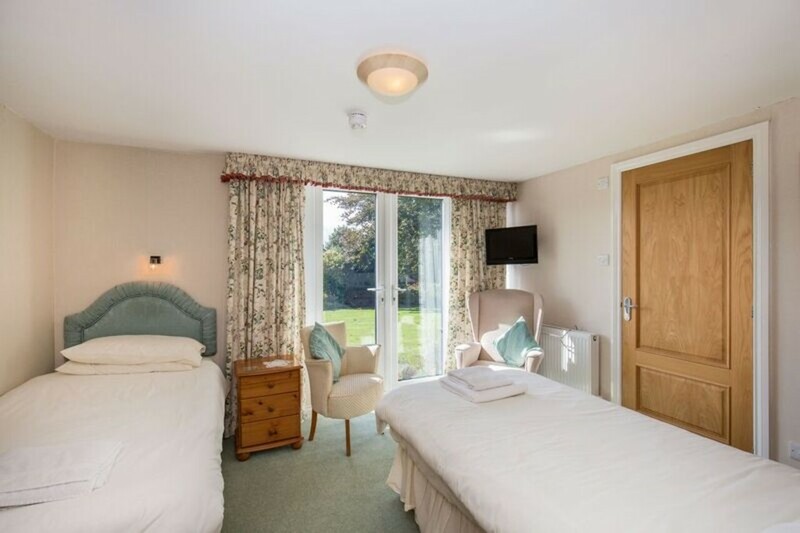 Grassington is surrounded by beautiful open countryside and is one of the most sought after villages within the Yorkshire Dales National Park offering many attractions throughout the year. ENTRANCE HALL With useful cloaks cupboard, ceiling light. KITCHEN 11' 10" x 9' 8" (3.61m x 2.95m) containing a bespoke oak kitchen by Secret Drawer with a selection of Tulip wood hand painted wall and base units incorporating a double Belfast sink with pewter style mixer tap plus hand held rinser tap, there is a bespoke floor to ceiling pantry unit, granite surfaces over with matching upstands, feature recess with tiled inset for double fuel Aga cooker with concealed lighting, bespoke Travertine floor with underfloor heating, attractive lattice work radiator cover, recessed spotlights to ceiling and integrated fire/smoke alarm, views over the front garden. SITTING ROOM 14' 0" x 12' 10" (4.27m x 3.91m) with an attractive Adam style fire surround with a recessed coal effect living flame electric fire on a granite hearth, illuminated display shelving and cupboards to either side of the chimney breast, picture rail, ceiling cornice, ceiling light. 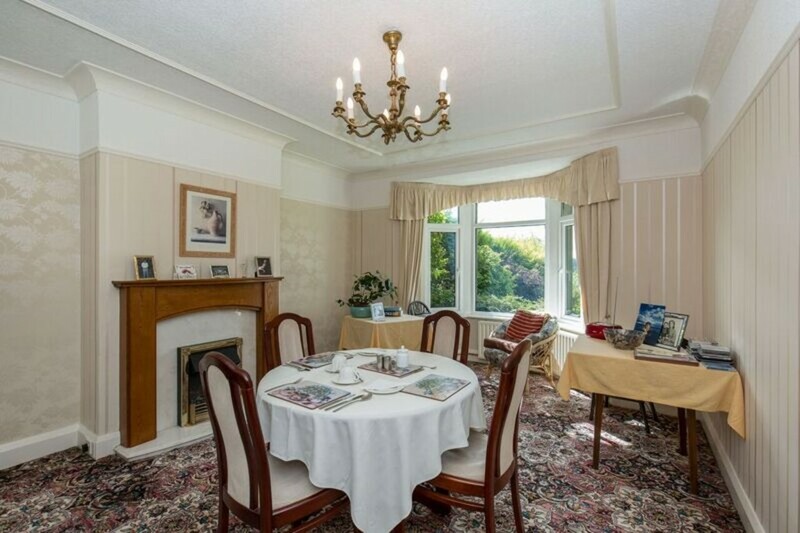 DINING ROOM 18' 2" x 12' 11" (5.54m x 3.94m) (into bay window) with attractive oak fire surround with marble interior and hearth incorporating a recessed coal effect living electric fire, picture rail, ceiling cornice, ceiling light. GARDEN ROOM With quarry tiled floor, panelled and glazed door leading to the rear garden which enjoys extensive views over the countryside and beyond, ceiling light. UTILITY ROOM/OFFICE 11' 9" x 10' 4" (3.58m x 3.15m) with provision for an automatic washing machine, large storage cupboards, shelving, ceiling light. 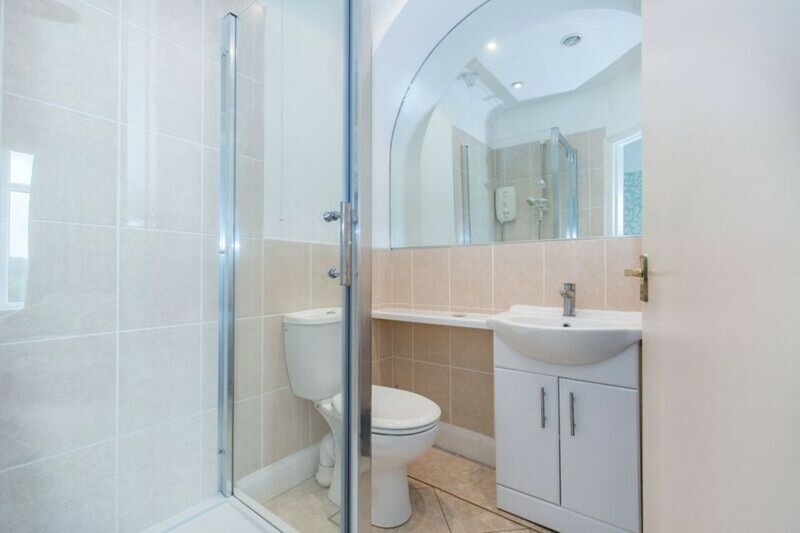 CLOAKROOM containing a two piece white suite comprising wash hand basin together with low suite WC, partial tiling to the walls, overhead mirror with light, ceramic tiling to the floor, ceiling light. BEDROOM ONE 12' 6" x 11' 4" (3.81m x 3.45m) with French doors leading to the front garden, ceiling light and wall light, fabulous long distance views over the garden and countryside beyond. 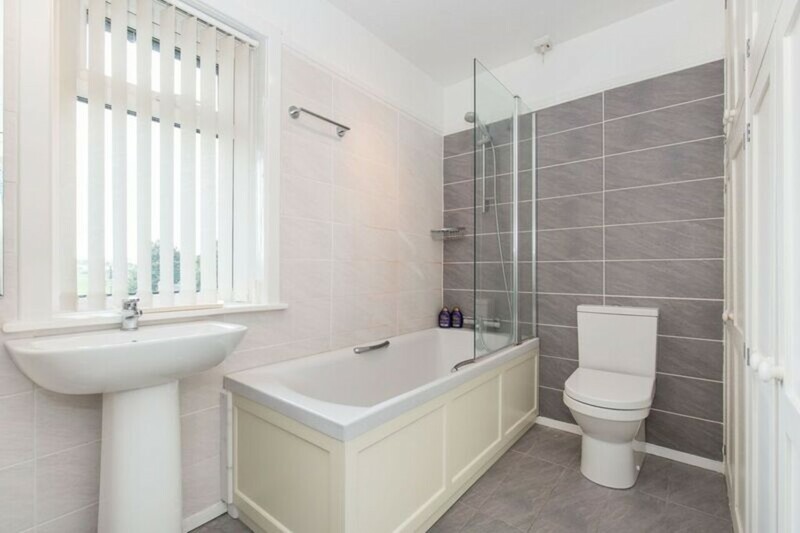 ENSUITE SHOWER ROOM containing a three piece white suite comprising built in shower cubicle with Mira shower over, modern wash basin on attractive stand, low suite WC, heated chrome towel rail, fully tiled to the walls and Kahein floor covering, recess spotlights to the ceiling. HALF LANDING with rear elevation window and superb long distance views. BEDROOM TWO 11' 9" x 9' 10" (3.58m x 3m) with rear and side elevation windows enjoying stunning views, ceiling light and wall light, radiator. ENSUITE SHOWER ROOM Containing built in shower cubicle with Mira shower over, wash hand basin in an attractive white high gloss cabinet together with low suite WC, arch with feature mirror, partial ceramic tiling to the walls, electric heated towel rail, shaver point, recessed ceiling lights and extractor fan. SPACIOUS LANDING with access to the part boarded loft space, ceiling light. BEDROOM THREE 15' 3" x 12' 11" (4.65m x 3.94m) with rear and side elevation windows, picture rail, ceiling light, single wall light, superb countryside views. 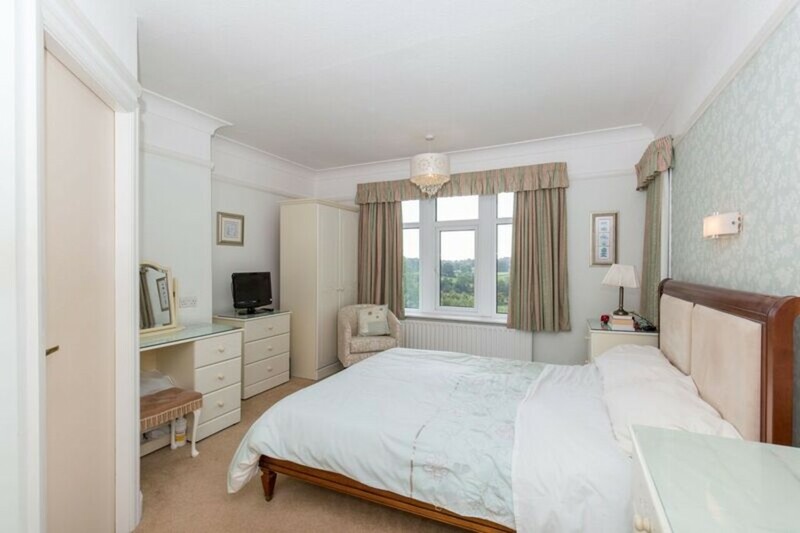 BEDROOM FOUR 14' 1" x 11' 10" (4.29m x 3.61m) with a range of built in wardrobes, fixture shelving, two wall light points, feature alcove with wash handbasin on an attractive cabinet, shaving point and recessed ceiling light, picture rail, ceiling light, radiator. 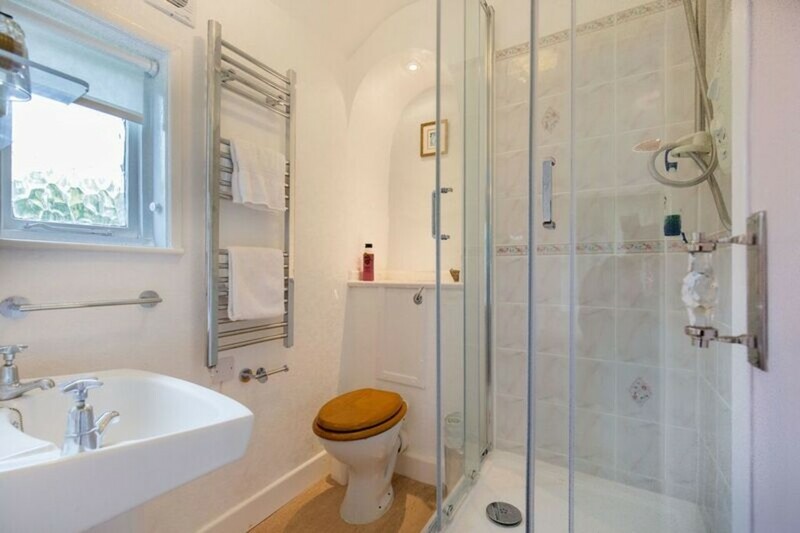 ENSUITE SHOWER ROOM Containing built in shower cubicle with thermostatically controlled shower over together with low suite WC, partial ceramic tiles to the wall with large fixture mirror above, chrome towel rail, recessed lighting and extractor fan. BEDROOM FIVE 10' 9" x 8' 11" (3.28m x 2.72m) with wall mounted wash hand basin, mirror and light/shaving point, picture rail, views over the front garden. HOUSE BATHROOM Containing a white three piece suite comprising panelled bath with mixer tap and shower fitment, glazed shower screen, pedestal wash hand basin together with low level WC, a range of fitted cupboards, contemporary tiling to the walls and floor, heated Anthracite towel rail, ceiling light, views over open countryside. BOILER ROOM/STORE With recently installed Worcester Bosch boiler and hot water cylinder. 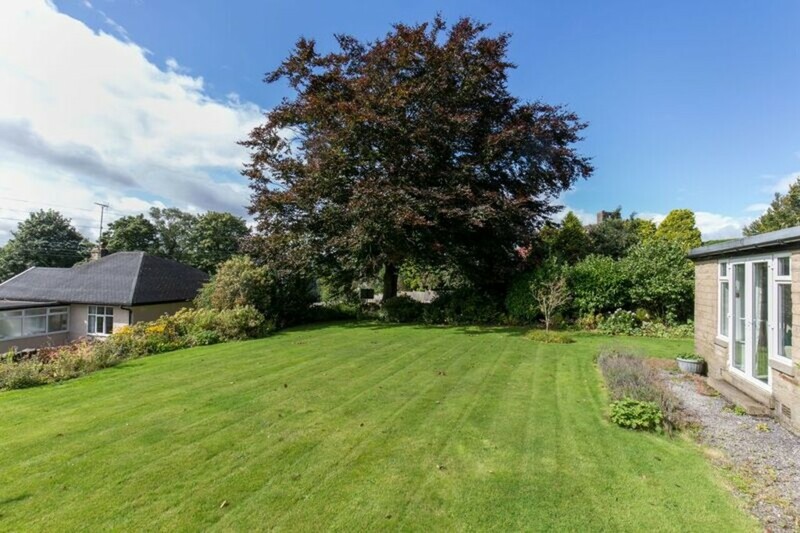 Raines Close occupies a lovely position on an elevated plot with extensive lawned gardens and mature trees. 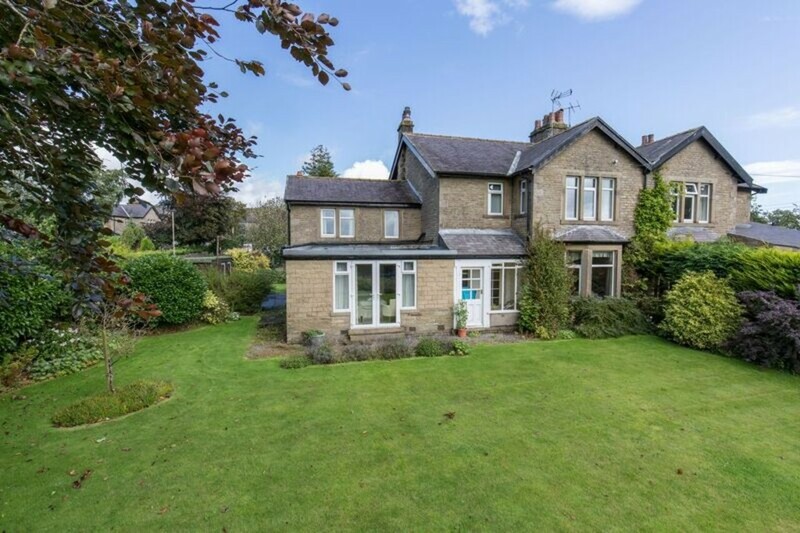 The property enjoys a prominent roadside position on the approach to Grassington centre. There is a substantial car parking area to the front with detached double garage and a small workshop and store to the side. The gardens to the front and the side are screened by mature hedging whilst the rear has an open aspect overlooking open fields and breath taking views across open countryside.